Please let us know more about your real estate today - click here. Welcome To American Atlantic Appraisers! As certified appraisers in New Jersey, we have the education and qualifications to provide the type of reliable appraisals that banks, major lending institutions, professionals and property owners require for various types of properties efficiently. Moreover, with years of experience behind us, we are prepared to handle a variety of appraisal assignments, including tax appeals and various types of litigation support. Ernest Darpino, Principal, specializes in commercial and industrial real estate appraisals. He is also served as an expert witness on numerous matters related to condemnation matters, tax appeals and an array of legal proceedings where an appraiser has been necessary. He now holds the Senior appraisal designations of ASA, IFAS, GAA, and is a CTA (Certified Tax Assessor). Mr. Darpino is affiliated with numerous appraisers throughout the state, who are competent in their particular regional real estate marketplaces, giving clients the best service possible from a credible source of appraisers. Please take a look at our web site, and you will see that we have the resources and knowledge to assist our clients with their appraisal-related needs. Buying real estate may be risky business. There are many factors that need to be considered to ensure that your transaction is the very best. Hiring a professional appraiser is crucial to guarantee a successful decision or plan. Here at American Atlantic Appraisers, we take pride in our work, knowing that it is in our clients’ best interest to receive quality work they can rely on. 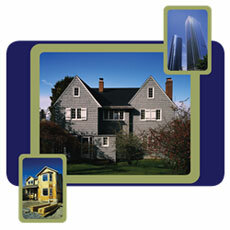 We are licensed and professional appraiser serving New Jersey. We have a proven track record with providing our clients with very extensive appraisal reports. We cover every area of the property and will provide you with a thorough and very detailed report for your decision making. With our many years of background as real estate appraisers, we have the education, training, experience and knowledge to handle any kind of situation. Our main focus is on residential and commercial appraising. 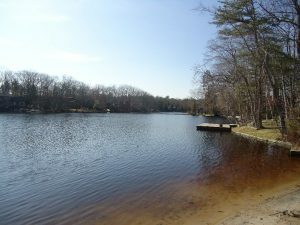 Northern, Central and Southern New Jersey are popular areas for businesses and industries. Our extensive background in the appraisal business is exactly what you have been looking for with your appraisal needs. We have expert, certified and designated appraisers providing defensible values to our clients.